HYNDEN is a wonderful legend. It is the story of a young Celtic princess who suddenly finds that she is to be the Queen of the Celtic people who live in the ancient kingdom of Dalriada. She becomes the first Queen of the Scots and has to find a partner who will be strong enough to protect her and her kingdom. 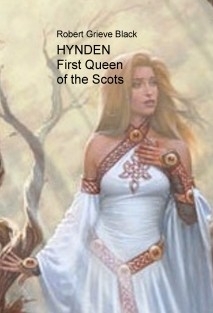 The author was born in the location that the story takes place but didnt know anything about the legend until he found it in a very old poem called Queen Hynde by James Hogg. The poem was difficult to read soÂRobert rearranged the legend into a more modern book. He thinks it is better than the story of King Arthur. Margaret Thatcher, the not-so iron lady.